After 31 games, including 15 regular season conference wins, a regular season conference championship, and two tournament wins this weekend, the top-seeded George Washington Colonials will lay it all on the line in the Atlantic 10 Championship Game against the second-seeded Dayton Flyers with an automatic bid to the NCAA Tournament at stake. 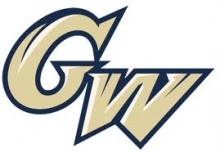 Sunday’s championship game will be the third meeting between GW and Dayton, with the Colonials emerging victorious in the previous two matchups. GW’s first win over the Flyers on January 4th was considered by many to be an upset, as the Colonials rode a 24-point, 17-rebound performance from Jonquel Jones to their first A10 win of the season by a final of 69-66 at UD Arena. By the next time these two teams met on February 8th, pundits around the league knew how good GW was. The Colonials would also win that game at the Smith Center 67-56 behind an 18-point, 18-rebound performance from Jones. However, it is tough to face any team three times in the same season, let alone beat them. Dayton is hoping that the third time’s the charm for them as they look to seek revenge for their previous two defeats to GW and complete unfinished business from last year, when as the top seed in the A10 Tournament, they were upset by Fordham in the championship game. The Colonials will need to lock down Flyers leading scorer Andrea Hoover, considered by most to be one of the two best players in the entire conference. Ally Malott, who injured her leg during the second half of Dayton’s semifinal win against Duquesne, will also need to play through the pain and be a difference-maker for the Flyers if they are to have a chance of beating GW. Jonathan Tsipis and this Colonials team have waited a long time for this moment and now sit on the cusp of hoisting some major hardware and clinching the first automatic NCAA Tournament bid of the Tsipis era. GW is certainly clicking on the court right now and they have the blueprint for how to knock off a team many considered to be the best in the conference during the preseason. If the Colonials can stay composed and not let the moment become too big for them, there is no reason why they cannot knock off Dayton for a third time and bring the Atlantic 10 title back to Foggy Bottom. Either way, it is shaping up to be a great game tomorrow at the Richmond Coliseum. WRGW’s coverage with Jeff Pawling and Mike Martenak begins at 12:50 with tip off scheduled for 1 pm on gwradio.com. GW tips off its Atlantic 10 Conference schedule today with a daunting, nationally televised road contest against preseason conference favorite Dayton. The game is a matchup of the A10’s two hottest teams, with the Colonials riding a nine-game winning streak and the Flyers having won eight straight games. The game will likely be decided down low with a battle of formidable trios. Jonquel Jones and Caira Washington combined for 39 points and 15 rebounds in the Colonials’ win at Towson and Washington has especially come alive of late, averaging 18 points on 72 percent shooting over the past three games. Jones and Washington, along with Kelli Prange off the bench, will need to set the tone early and shut down the Flyers’ frontcourt composed of Ally Malott and Jodie Cornelie-Sigmundova, with Saicha Grant-Allen off the bench. Malott could especially create issues for GW, as she enters as the fifth leading scorer in the Atlantic 10 with 15.8 points per game. Cornelie-Sigmundova is more of a defensive specialist, averaging a little under three blocks a contest. The backcourt is the area where Dayton could separate themselves from GW, especially at home. The Flyers’ guards are led by Andrea Hoover, the A10’s second leading scorer with 20.3 points per game. Hoover is coming off a 29 point, eight assist performance at Central Michigan, a come-from-behind 98-89 win for the Flyers and I would not be surprised if Hannah Schaible picks up the defensive assignment on Hoover for the majority of this game. Shutting her down is imperative if GW wants to have any chance of picking up the road win. It should be a fun one in Dayton today and we’ll have you covered from start to finish, with WRGW’s coverage beginning at 3:15 and tip off scheduled for 3:30 pm on gwradio.com. PHILADELPHIA – Coach Jonathan Tsipis’ debut season at the helm of the Colonials saw many high notes, and though the final game, a 74-49 loss to a nationally-ranked Dayton Flyers team, was not one of them, this team was able to get their most wins since 2009, give outgoing graduate students Sara Mostafa and Tara Booker their first postseason win, and set themselves up for a busy spring. Booker pulled down eight boards and led the way for GW with 12 points. Senior guard Shi-Heria Shipp also scored in double figures with 11, and her boards helped GW win that battle 39-34. Mostafa, though not particularly successful shooting, was able to get seven rebounds of her own. 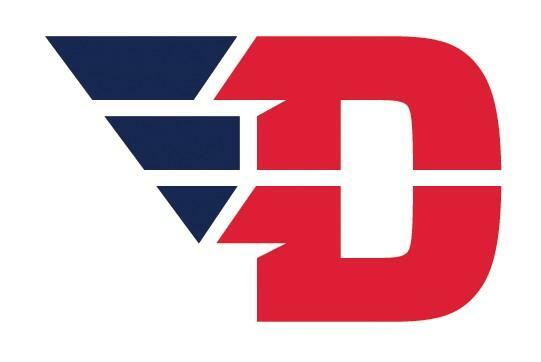 The Dayton Flyers (27-1, 14-0 Atlantic 10) proved a bit too much for the Colonials (14-16, 8-8 Atlantic 10) to handle in a rematch of an 80-51 Dayton win in Ohio earlier this season. GW kept things close until Dayton was able to go on a 15-2 tear to end the half, which included a transition three from guard Andrea Hoover. Transition scoring was key, especially early on for Dayton. The Flyers’ phenomenal ability to hit stop-and-pop jumpers in transition fueled the Flyers and set them up to have a 43-21 lead at the half. Coach Tsipis was keenly aware of Dayton’s quickness, noting that “Dayton’s way too good of a team…to be half a step slow.” They got beaten down the court by just enough on several occasions to allow easy baskets. Dayton would lob the ball down the court as opposed to bringing it down traditionally, especially in the first half, which would give their shooters a few extra steps. The blistering speed of Dayton slowed down a bit in the second half, allowing the Colonials to keep the Flyers from really flying away. The 22-point deficit did not shrink by much, but GW kept the deficit under 25 in the first fifteen minutes of the half. “That was a tough mountain to come back from,” said Tsipis about the deficit. He was impressed in his team’s ability to play this talented Dayton team close. Offensively, GW was often forced to pass several times to get clean looks at the basket. “They were the aggressor,” said Tsipis. “We took a lot of shots at the end of the shot clock, I think that just revs up their transition game.” Dayton recorded 11 blocks, led by forward Jodie Cornelie Sigmundova with five. Guards and forwards alike were being stopped by the bigs inside by Dayton. The Colonials finish the season with a loss, but they have a lot to be proud of. Check back to this site later in the week for a full recap of GW’s season.